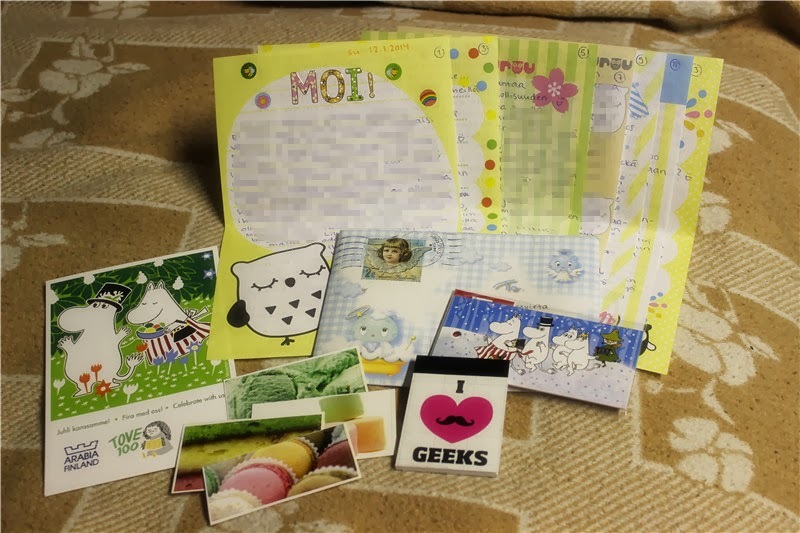 Quite Fast For A Snail: Incoming mail 13-17.1. 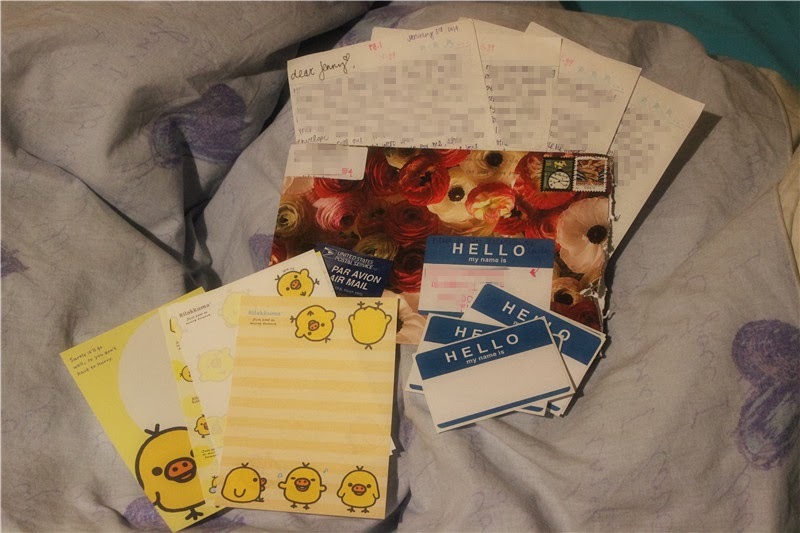 From a penpal in the US. The year of horse goodies from two of my swap partners in China and Hong Kong. 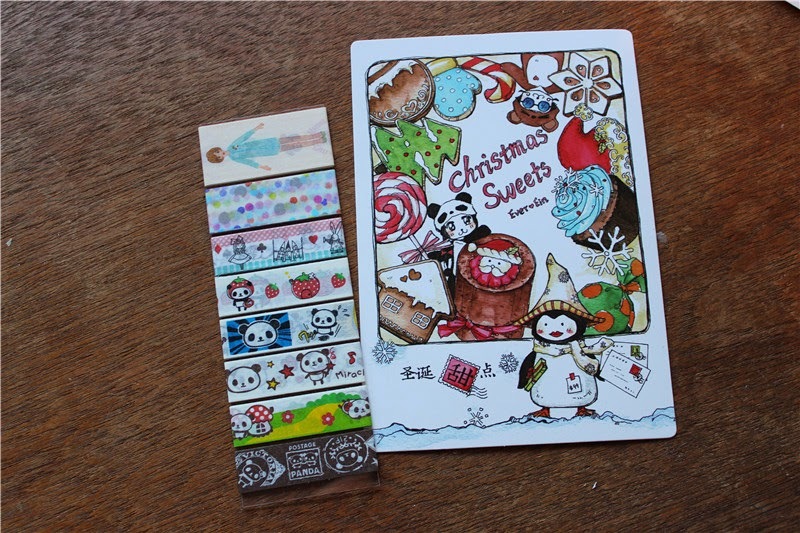 The Chinese girl sent the First Day Cover, Horse stamp, Xmas card and masking tape samples. 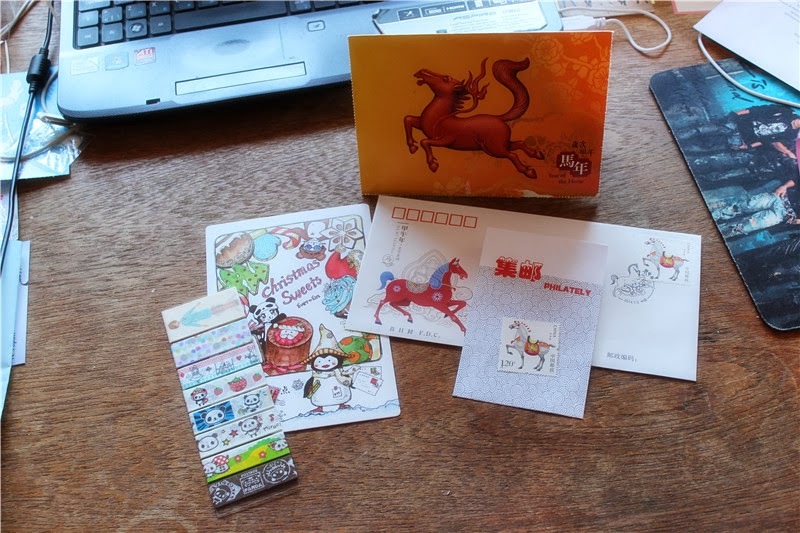 From HongKong I got that Horse card! Close picture of the card. I had to tear the card open and inside it was the message! 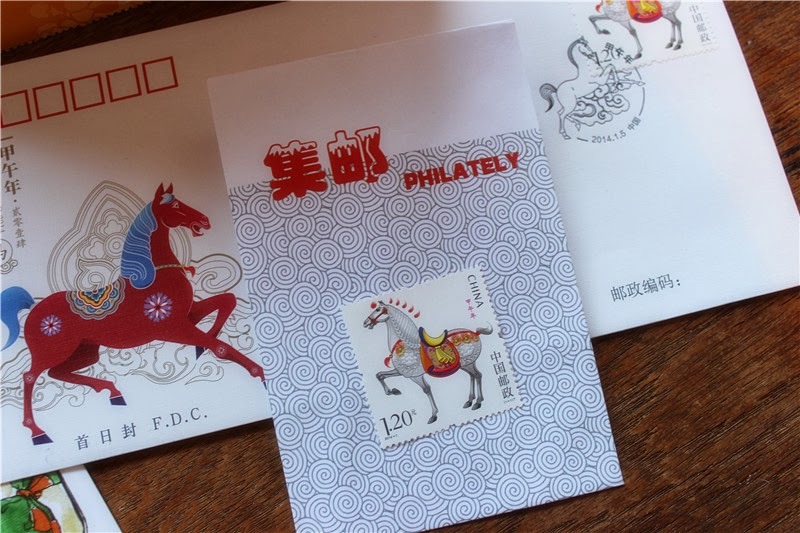 Close picture of the Chinese Horse stamp. 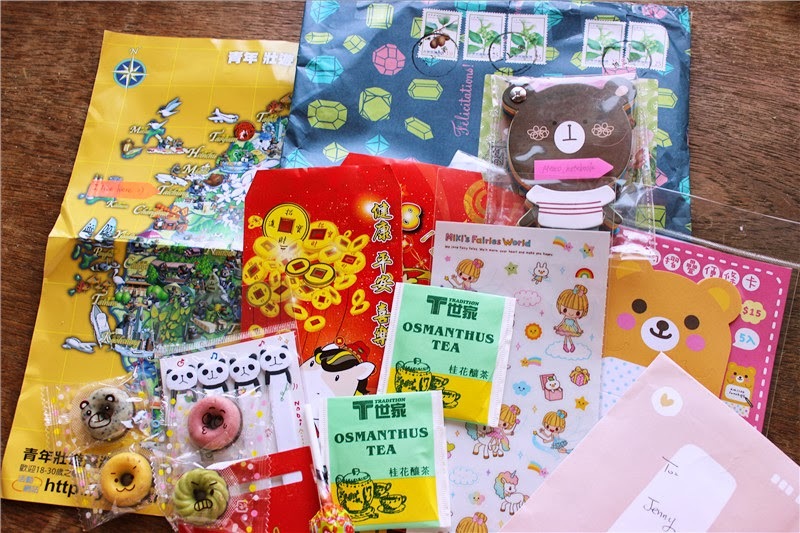 On Thursday I received all these from my penpal in Taiwan! 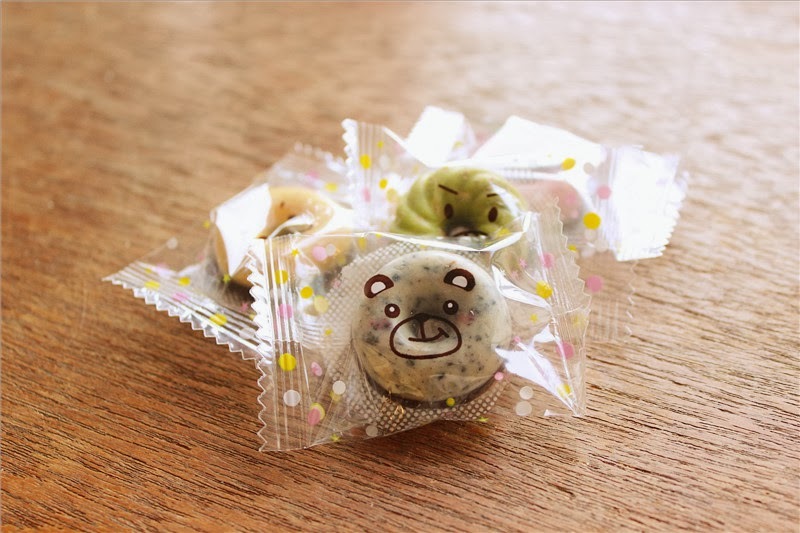 These must be the cutest donuts I've ever seen !! 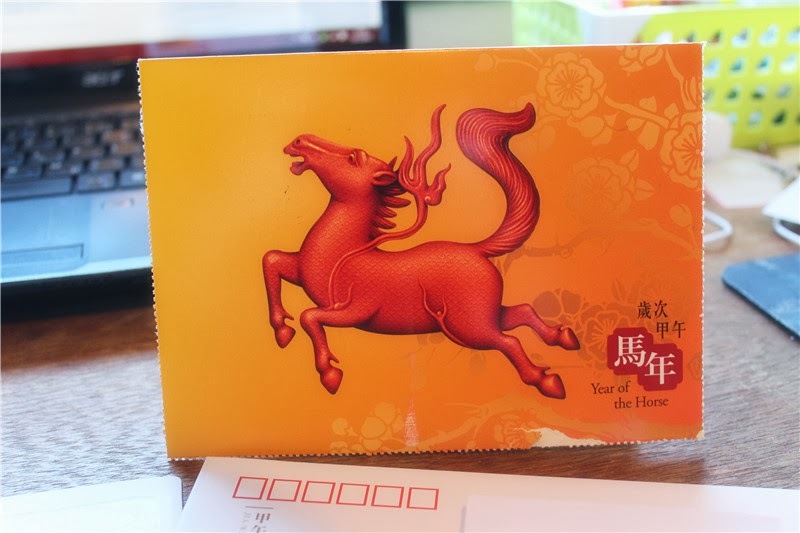 Taiwanese Red Pockets. 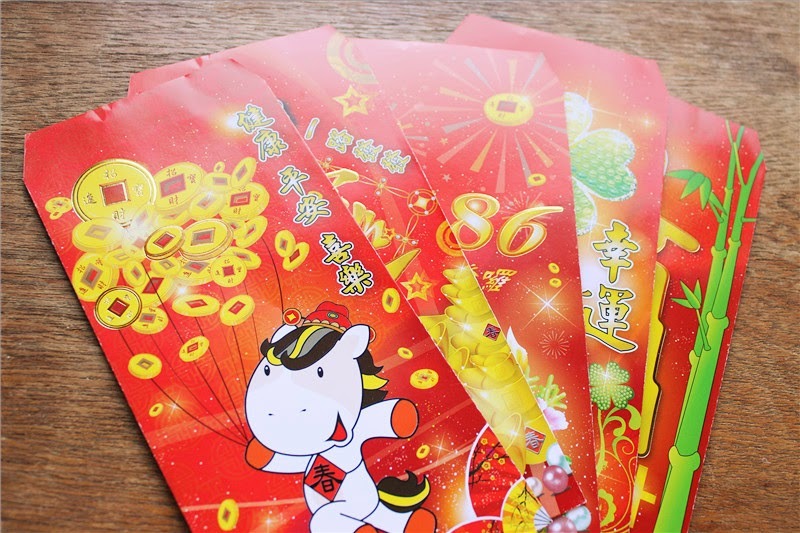 During Chinese New Year, parents give children red pockets that contains money! You've received amazing mail again! 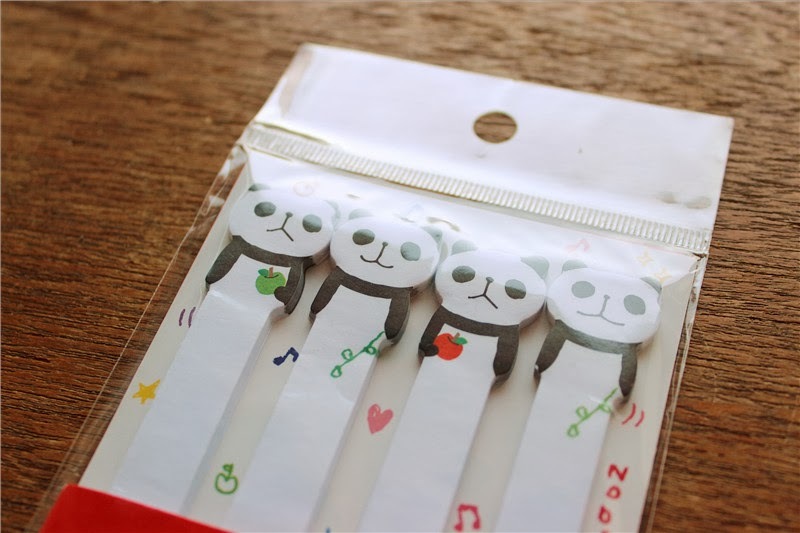 Those donuts and panda notes look so cute.